Information and booking on all camps here... .
to receive a form Summer competitive swimming camps. 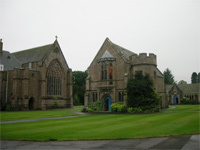 Our Swim Camps are held at Glenalmond College in 2019 . GLENALMOND COLLEGE SCHOOL: 22 - 26 JULY, 2019. Monday to Friday. Our swim camps are designed to have a low coach:swimmer ratios. loads of fun with poolside games like Snakes and Ladders and RACE PACE GAME (RAPAGA). 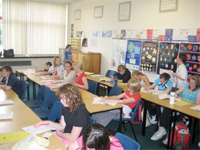 Our camps have been running since 2007. We have had great success with these camps with swimmers attending from not just Scotland but from Ireland, England, Wales, and further afield; France,Czech Republic, Ireland, Oman, Saudi Arabia, Canada, Italy, Thailand, USA, Germany, Malaysia and Malta. The camps run from Monday to Friday and include two swim sessions each day run by Olympic Coach Gary Vandermeulen. We were very proud to see that one of our first campers (Camilla Hattersley) earned a spot on the 2016 Rio Olympic team! Congratulations Camilla! The focus is on technique in the morning and then applying those new skills in the afternoon. One of the main skills learned is how to hold water. This important skill is often forgotten in normal training situations and an interesting an new way of understanding the principle of how to move through the water is taught in a memorable way. In addition to holding water swimmers are taught how to balance correctly in each swimming stroke and also how to have correct timing. These skills in addition to holding water makes the Sheppard Swim School camps extremely worth while to be re-learned over and over. It is essential to swimming correctly. However that is only the beginning of what we do at our camps. We also use poolside games to introduce training as 'fun'. We have developed the swimmers version of 'snakes & ladders' which we use in our warm-ups and also we use RAPAGA (which is short for RAce PAce GAme). The race pace game forces swimmers to use all the newly learned skills and put them into a tough race-like scenario. In addition to the pool skills we also teach new dryland skills. From 2008 we taught swimmer pilates exercises and we taught swimmer exercises on 'exercise balls'. Our focus continues from the success of previous years and will continue to be on technique on all strokes and STARTS AND TURNS. We then put those new skills into a circuit training programme each day so that the swimmers get an opportunity to train hard and train new skills. We have our coaches teach how to maintain healthy eating habits, good shoulder stabilization exercises, play games and all of these programmes are recorded into a log book updated by each swimmer each day. A classroom session with Gary Vandermeulen provides the opportunity to record all of the days skills into the workbook and also a chance to talk about the interesting world of swimming with an Olympian and an Olympic Coach. 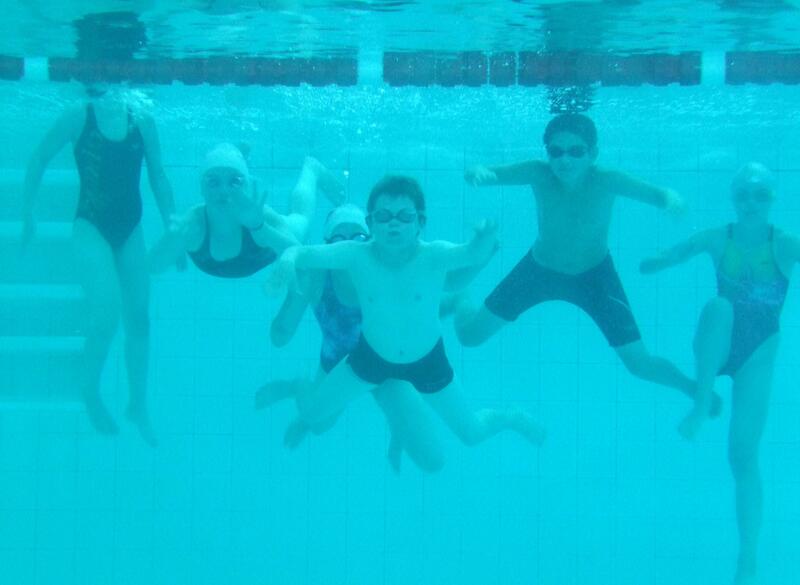 There are loads of more pictures on our Facebook page: search 'Sheppard Swim School Competitive Swim Camps'.